Join us for a two-day American Girl™ extravaganza! The American Girl Benefit Sale, run by Madison Children’s Museum, offers great deals on authentic American Girl dolls, accessories, and books. The inventory is all donated by American Girl and Mattel, and the proceeds go to support the work of Madison Children’s Museum and American Girl’s Fund for Children, which supports a number of charitable programs for children. The sale is not run by American Girl or Mattel. The benefit sale is in two main parts, the Saturday Sale which requires paid tickets, and the Sunday Markdown Sale, which has paid tickets only for the first hour, and free, walk-up tickets for the rest of the day. Discounts begin at 30% or more off retail prices on Saturday, and many items are further marked down on Sunday, often to 70% off retail prices. The sale is in-person only, located at a warehouse in Middleton, Wisconsin. Items are not sold online or by phone. Sunday Markdown Sale, after 9 a.m.– free tickets will be distributed on-site, starting at 7 a.m. The annual American Girl Benefit Sale attracts up to 7,000 shoppers from all over the country and raises around $1 million dollars each year. 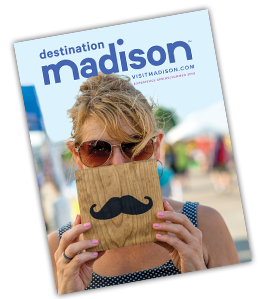 All funds raised go to support the exhibits and programs of Madison Children’s Museum and American Girl’s Fund for Children, which provides grants for charitable programs for children throughout Dane County. Over the past 31 years, Madison Children’s Museum has restored and resold overstock and returned merchandise donated by American Girl and Mattel. The benefit sale serves as the museum’s largest fundraiser and has raised an overall total of $24 million. A dedicated corps of 150 museum volunteers work year-round to prepare for the event, with an additional 150 on site during the sale. More than 30,000 volunteer hours are logged annually.